Important disclaimer: I am closely associated with Tillmann Eitelberg & Oliver Engels since I am working with them at OH22. 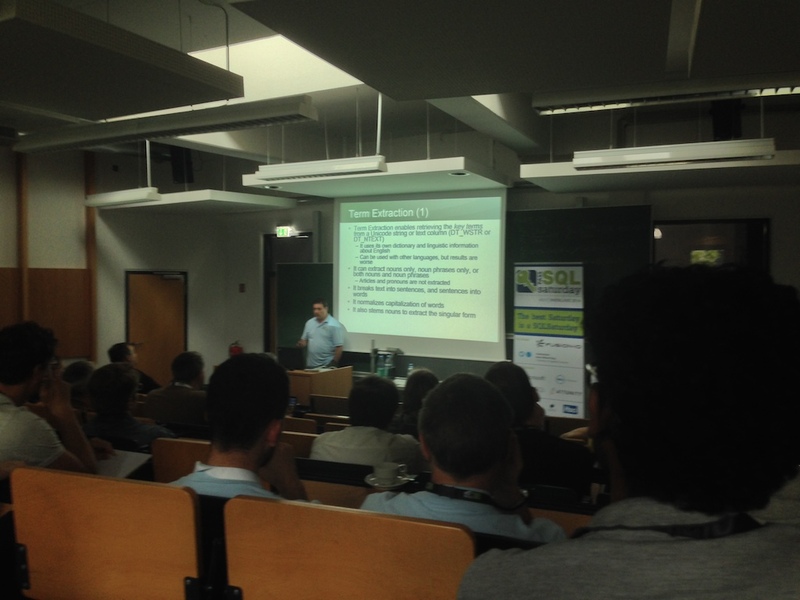 I am one of the luckiest guy of having attended & presented at every single SQLSaturday in Germany and this year I was a part of one more SQLSaturday – in Rheinland. For those who can’t imagine where it is – the city of Sankt-Augustin is located between Bonn & Cologne at Hochschule Bonn-Rhein-Sieg. 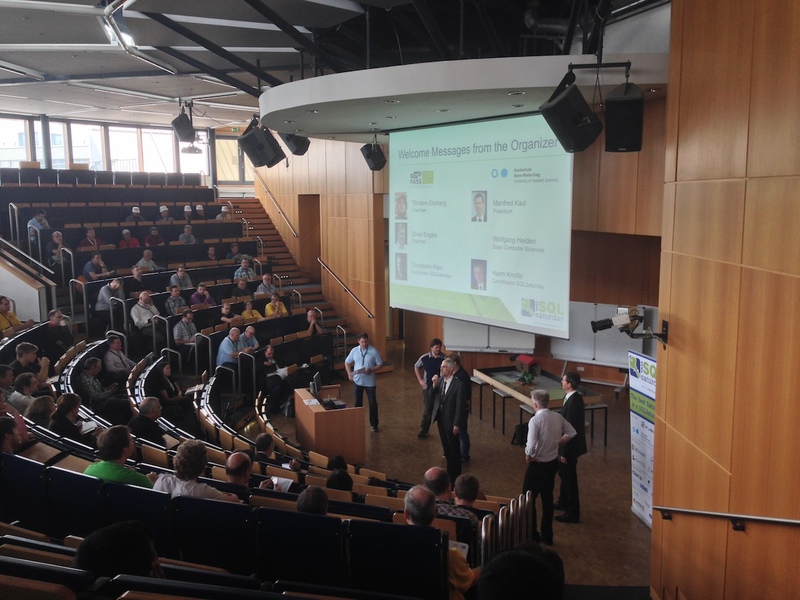 This one is being organised by German PASS, as each & every other SQL Server related event in Germany. An amazing team consisting out of Tillmann Eitelberg, Oliver Engels & Kostja Klein did the impossible – they have improved their event even further. These are not light words that I am throwing – team spirit, the efficacy, the spirit, the cohesiveness of the event, the reactions of the attendees (I have seen a lot of happy faces and people went to talk to me about their experiences) – these are the things that I personally cherish the most. But overall, I have the memories, I remember how it felt to be there. It felt like a home LAN party with a lot of new members eager to learn, eager to share. 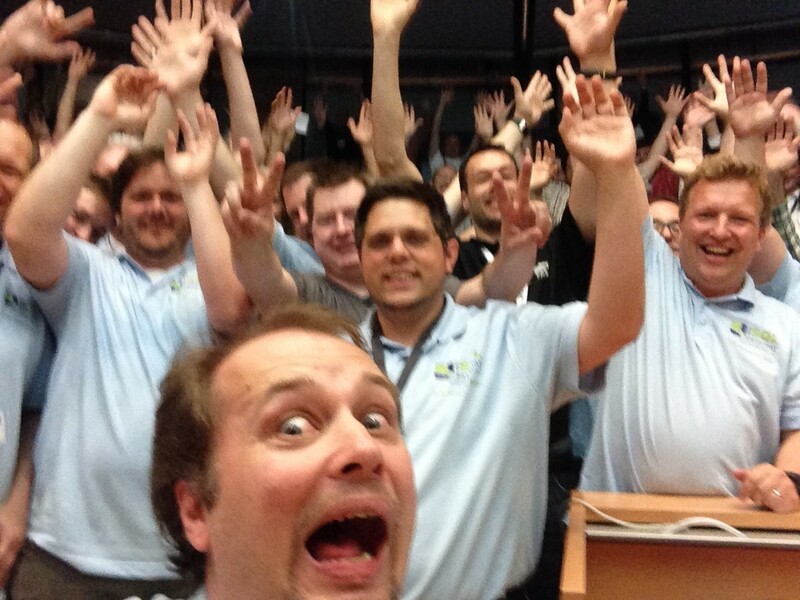 This is what I will remember about SQLSaturday when time will pass by. One day before the SQLSaturday, on 28th of June PASS Deutschland has organised a full day Big Data Hackaton which was a very cool event according to some attendees. Leaded by Sascha Dittmann (Azure MVP) & Scott Klein (Azure Evangelist) its intent was bringing people closer to such big data technologies as Hadoop & PowerBI. I have not been able to take part in it, since I arrived late to Sankt-Augustin (4:30PM) and than I was helping to prepare the Saturday event, but I was able to exchange opinions with the attendees and organisers. A great speaker gift was a beer cup from that place (each speaker got it right after finishing his/her own session). As for the event itself – it was simply amazing in my opinion. Do not forget that a lot of things I see through a prisma of an event organiser. All speakers were offered bus ride from the hotel to the venue (at 7:00 & 7:45) where we had some time to prepare for the event which kicked off at 9:00 AM with the Keynote from Oliver, Tillmann & Kostja. No doubt that collaboration with the university made a lot of things easier, and having university representatives at the event helped to further the feeling of a real integration. From the session perspective I have managed to see a couple of interesting ones – by Matija Lah (on the custom SSIS Component development), by Dejan Sarka (Analyzing Text with SQL Server 2014), Martin Kopp (Column Store Index 2012 vs. 2014) and of course I had to deliver my own deep dive into Clustered Columnstore indexes. 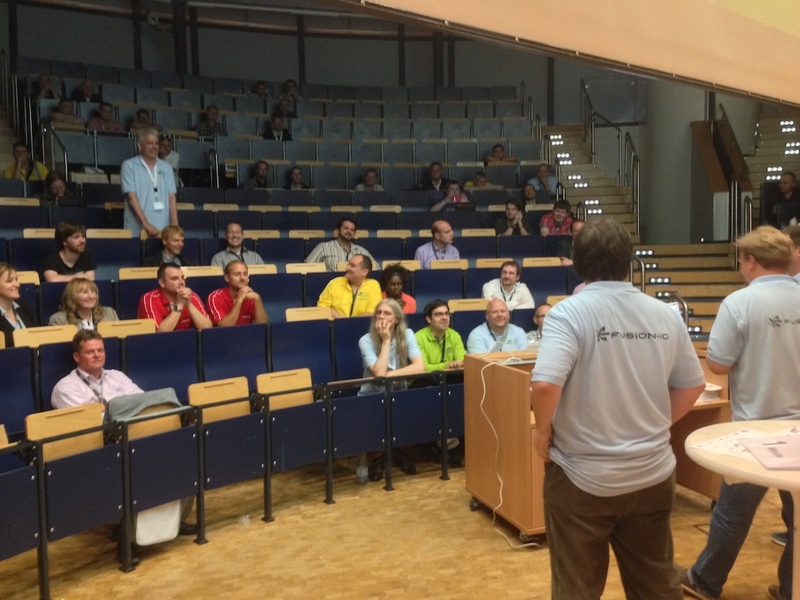 By the way -take a look at the schedule – this looks really cohesive and forward thinking: SQLSaturday Rheinland 2014 Schedule, I can only hope that in our local Portuguese events we can reach this quality one day. On rainy Saturday night after watching some football at the hotel lobby we went for a nice lunch at a nice pizza place (Vapiano), where we had enough time to make fun about everything (You can imagine sharing a table with those SQLSaturday speakers, don’t you?). 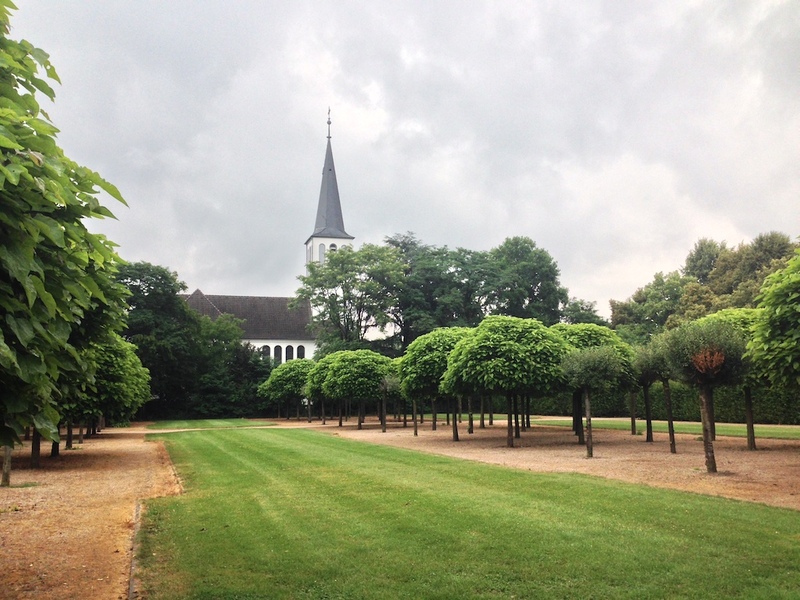 On Sunday, we kicked-off with a small tour with some very nice parks and castles around Bonn, visiting Cologne in the afternoon and more specifically Cologne Cathedral. After a guided tour into the treasure chamber of Cologne Cathedral, we have had a wonderful meal with the organisers at the world famous Früh brewery. After that all Kostja Klein was kind to bring me and Scott Klein to Frankfurt (another 2 hours drive by crazy rain). All in all this was the best SQLSaturday I have ever attended. Yes, that good. And I will share a secret recipe with you on that – it’s all about the people, they make the difference.